The sun’s rays dip beneath the soft and undulating foothills of the Carpathian Mountains. In spring the weather is still brisk near the Ukrainian town of Skole, around 100 kilometers southwest of Lviv. This region was once settled by German immigrants, explains a local guide; today, it is home to ski resorts and little hotels offering saunas and other amenities. In some ways, it feels like a slightly run-down version of Switzerland. Our tour bus stops for a bathroom break. At the corner of the parking lot is a large map illustrating a 9-km. hiking trail that takes explorers up 868 meters to the peak of Mount Parashka. We won’t be climbing it, though. 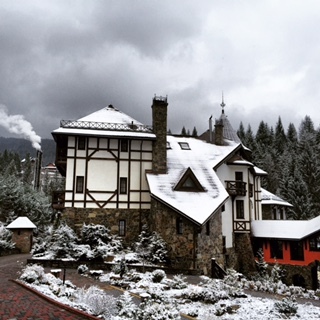 Our tour group of journalists and tour operators are destined for the Hotel Vezha Vedmezha, deep in the mountains. A 12-year-old bottle of Dewars is cracked open. After all, this is Ukraine, not Switzerland. There won’t be any fondue on this trip; there will be drinking, dancing and revelry. To understand the Galician region of Ukraine centered around Lviv is to enter a crossroads of history and empire. Skole, at the base of the Carpathians, is actually closer to Budapest than Kiev, the capital of Ukraine. The Carpathian Mountains stretch 1,500 km. west from here, ending on the Danube near Bratislava, the capital of Slovakia. The area was once ruled by the massive Austro-Hungarian Empire before the First World War, and then by Poland between 1920 and 1939. It is not a surprise that the Mayor of Lviv, Andrii Sadovyi, describes the area as similar to Prague. As we snake our way up the narrow, sometimes potholed roads into the mountains, the views become constrained by the peaks. The course crosses the fast-flowing Opir River and parallels a train track. Eventually, as it seems we will never reach our destination and the Robert Frost line “Many miles to go before I sleep” sings in my head, the road turns a bend and ends abruptly at what looks like a scene from Game of Thrones crossed with Lord of the Rings. A purpose-built, splendidly modern model of a kind of castle or country house pops from the forest: the Hotel Vezha Vedmezha. With a gabled roof, white walls interspersed with stone and Christmas lights hanging from an enclosed outdoor restaurant, it looks like a movie set. A man with a tray of wine greets the visitors and we are ushered into a plush reception, resplendent with full size suits of armor and swords along the wall. For fun, there appears to be plenty of costumes to play dress-up. The hotel is one of the more modern attractions in this Carpathian Mountain region. Queried as to how a tourist could most easily reach the area, the local owner explains that a car pick-up from the airport in Lviv, an hour and a half away, can be arranged. Ukraine is dreaming big of encouraging tourism here. Oleg Synyutka, head of the Lviv Regional State Administration, explains that he is hopeful of the day when hotels will be bursting with Israeli and Jewish tourists. “We want to develop tourism. We feel that even during the military actions [in Eastern Ukraine], the situation in the country is developing. We guarantee the safety of everyone who comes here… this land is a cradle of [civilization for] many peoples,” he says at a toast in Lviv. That is the situation Ukraine finds itself in today. The war against separatists in the Donbas region next to Russia is 1,000 km. away from Lviv, and the only evidence we see of the conflict are commemorative photos of area men who had been called up to fight and donation boxes for medical corps units. But economically it has been difficult for the local people, who saw the local currency, the Hryvnia, lose two-thirds of its value against the dollar. In a perverse way, however, that is a benefit to tourists. Local products, such as meat, are cheap; a dinner might cost $10, depending on the place. Lviv itself is a lively city, with 100,000 students studying at local colleges, ample cafes and tourist infrastructure. Everywhere the old Austro-Hungarian influence is felt, with local chocolates, wonderful coffee and culinary flare. For those interested in Jewish history, there is a rehabilitation project underway to show off the spot where the Great Synagogue stood before the Nazi conquest in 1941. Lviv was overrun so fast that the Soviet Army didn’t put up a fight here, and the city was preserved. But the Jewish community, once making up half the population, was destroyed. 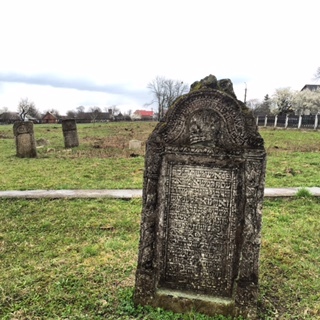 Outside of Lviv we visit Belz, once the heart of the Hassidic Movement that bears its name. The gloomy sky highlights the beautifully desolate former Jewish graveyard; graves lurch to the side in the muddy soil. Lazar Weiss, a black-hatted American, is on a tour of the area with friends from New York City. He says they encountered no issues with anti-Semitism, and sees definite potential for more tourism. 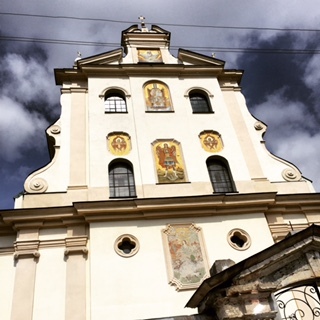 There are many other small towns to see, such as Truskavets, famous for its spas and “healing waters.” On the other side of Lviv, sitting on a long green plain, is Zhovkva – a Renaissance-era town with a pretty square and synagogue that dates from the 1690s. Oleg Vyshniakov, the honorary Israeli consul in western Ukraine, notes that from May 21, Ukraine International Airlines will operate a direct flight to Lviv, making access to these areas easier for those in Israel. With the summer months ahead, for the adventurous, this is a destination worth considering. The writer was a guest of the Ukrainian government.